It is learning while having fun! 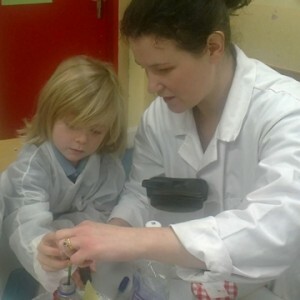 Whatever the event, whatever the venue it is Hands-on Science for children. Party entertainment, school visits, fun days, corporate events …. there are even local science camps during school holidays. Do you want to bring the science curriculum to life in your classroom? We all learn better by doing rather than seeing and that is why Dr. How makes learning such fun! Interactive, hands-on and real science, we can cater the visit to classroom or hall, adapting the topic to suit every class in the school, from Junior Infants to Sixth Class. If you want a particular topic covered that fits in with what you are teaching, or a green flag event, just let us know! If you want some ideas to try with your own class check out the School Corner section for some great experiments, facts, games and quizzes. Need something educational AND fun for your Family Fun Day or Corporate Event? Science Wow’s interactive entertainment can be tailored to suit what you have in mind! The experiments are safe, interactive and short enough to allow children to come and go as they please. 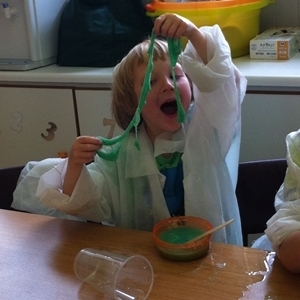 Although we find that once children start an experiment with us they want to stay for more! Are you looking for a party idea for your children that will enthral, delight and entertain? Running for cover before the coke explodes! 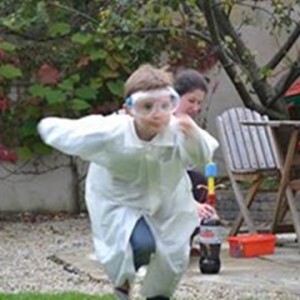 Why not get Science Wows to come to your house and WOW all the Junior Scientists as they all get stuck into the hands-on experiments. Parents will love the fact that Dr. How brings all that is required so that all they need to do is stand back and watch the happy and amazed faces of all the kids…. that’s if we can stop the parents getting stuck in too! Looking for something fun and entertaining for your children during the school break? How about something a little different, educational and interactive? Dr. How’s Science Wows Camps and workshops are packed full with interactive experiments, science games, quizzes and fun team challenges. Kids can’t wait to get there and never want to leave! Or if you are running your own children’s camp, Dr. How is available to provide the entertainment! 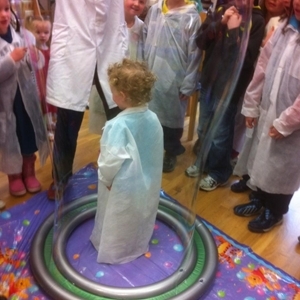 Dr. How’s Science Wows is based in Co. Galway, Ireland. Any bookings made for outside the county will include an extra travel charge.